Price just reduced! 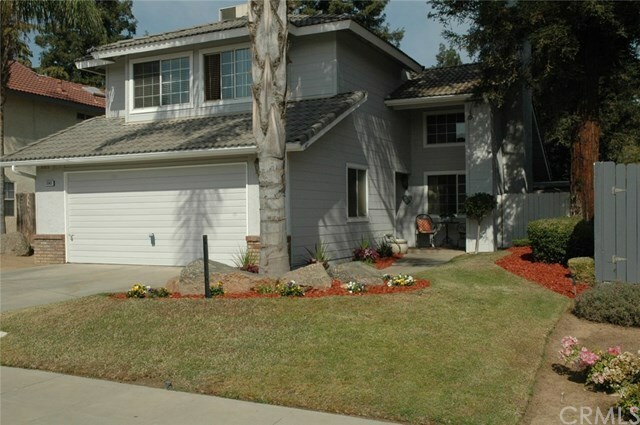 Here's your chance to own a nice home Located in the Clovis Unified School District that's recently seen some updating. Freshly painted exterior, updated bathrooms and a energy efficient water heater just installed. The washer and dryer are included in the sale of the house. There are ceiling fans through out, oak laminate flooring and carpet floors and epoxy finish kitchen counter tops. Special attention has been done to make this home warm and inviting. Mirror finished wardrobe closet doors in the Master, gas logs in the raised brick fireplace in the living room. The cozy family room has a breakfast bar and sliding doors to the beautiful rear patio with decorative stone retaining walls and a four column roman style aluminum patio covering. Conveniently located near Nees and Millbrook, don't let this beauty slip by, contact your realtor today!